From the moment this campaign hit the newsstands, it was a viral sensation. John says the campaign was built from the outside-in based on extensive research that was done with visitors outside the state of Nebraska. Folks from Denver, Kansas City Minneapolis, Wichita, and Des Moines gave their honest opinions about the state and it wasn’t good. For one, many people did not recognize Nebraska as being in the leisure travel category, and even worse, there was brand apathy. No one even cared. They needed a slap in the face to change the negative perceptions of Nebraska. As creative director, Kirk was able to do this so eloquently by acknowledging those negative perceptions and then giving them a unique hook to talk about very positive things in a humorous, self-deprecating manner. John says they also used values-based marketing, and the value they landed on for Nebraska was honesty...a humble culture with a unique sense of humor. They found those quirky things about Nebraska and transcended them into things to see and do. No campaign can convince everyone, and according to Kirk, they aren’t even trying to. If you are one of Nebraska’s out-of–state neighbors and you like to explore and find quirky things to do, the state welcomes you. When the campaign was first revealed, the state’s major newspaper, Omaha World Herald, did a poll to see how Nebraskans felt about the campaign. John says 75 percent were for it. There was some pushback, but it was mainly people who felt the campaign made fun of the state when in fact it did just the opposite. The media gave a lot of print space and air time to explain the campaign thoroughly. Stories appeared in the Washington Post, on CNN, the Stephen Colbert Show and NPR’s “All Things Considered,” to name just a few. While the Tourism Commission has a $6.6 million budget, the state has earned $7.2 million in free publicity, and it hasn’t spent a dime yet on advertising. In addition to the millions garnered in earned media, John says there is hard evidence that the campaign is working well. Nebraska has a 1% lodging tax and so far, this year, revenues are up by 5%. Its biggest seasons, spring and summer, have only just begun. 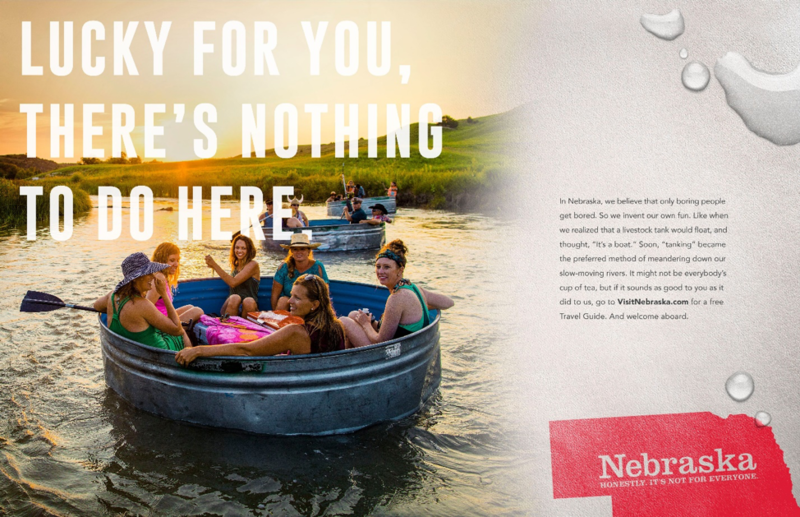 The Nebraska tourism campaign officially launched on April 1. 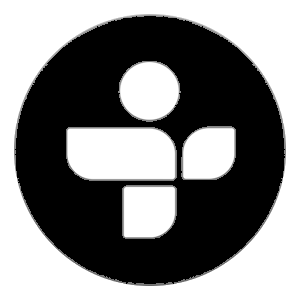 You can see the print and TV ads in Denver, Wichita, Kansas City, Minneapolis, Des Moines and Sioux Falls.